When I began to mix herbs and oils I felt a familiarity and ease, as if this was what I was meant to do. 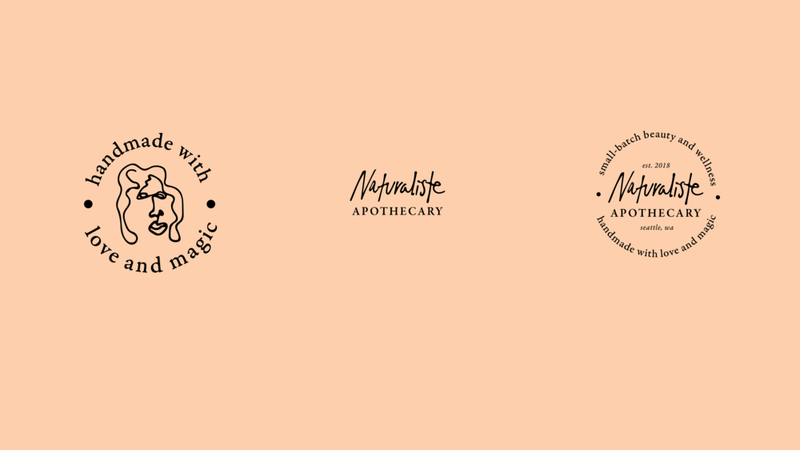 Living in the city has exacerbated my desire to connect with nature, and Naturaliste Apothecary was an outlet for this. 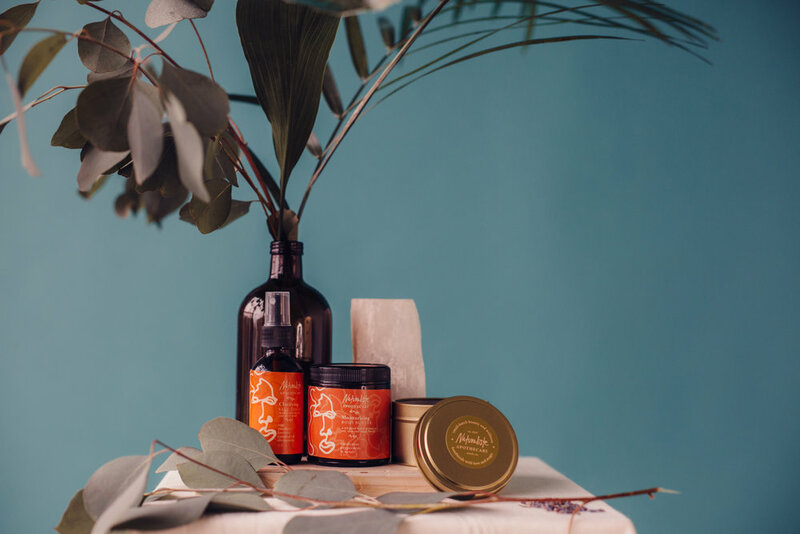 Rooted in a desire to heal and a deep connection with the earth, Naturaliste Apothecary brings ancestral knowledge to the 21st century. As I dove further into researching the lives of my ancestors, I began to draw parallels with my own life. I draw inspiration from the decisions and sacrifices they made in order to survive. The stories of the African diaspora are a beautiful collision of migration, adaptation, resilience and loss. My own identity is shaped by the mixture of a strong cultural identity and a deep sense of longing for lost history. The information I do know about my cultural background provides me with pieces of a picture that is much more complex and interesting than the black and white version of history I was taught in school. 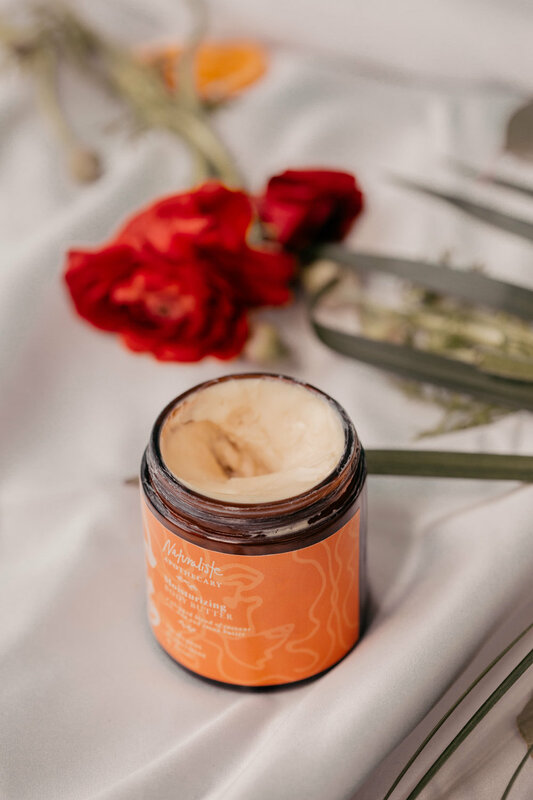 Though this project was focused on the design aspects of branding, packaging and marketing; the underlying focus of preserving ancestral traditions and continuing a relationship with nature, were always present in my mind. I began the year illustrating an oracle deck based upon African-American Folk traditions and ended up changing my project to an apothecary based on herbalism and ancestral wisdom. 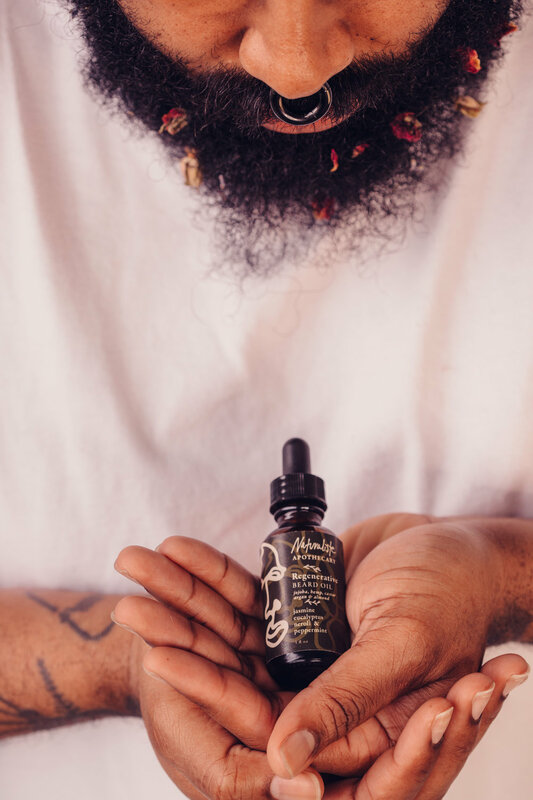 Though these projects may seem like completely different genres, what they have in common is the basis of a tradition, whether its reading tarot or mixing herbs, that has been passed down through ancestral wisdom. 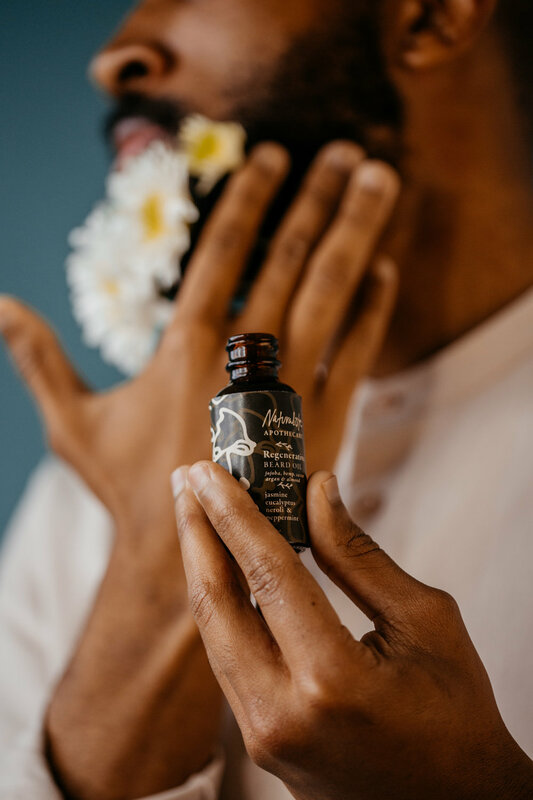 Divination and herbalism were interwoven into the threads of my childhood, when my mother would mix up an herbal concoction for my cold or have me pull a tarot card before school in the morning.